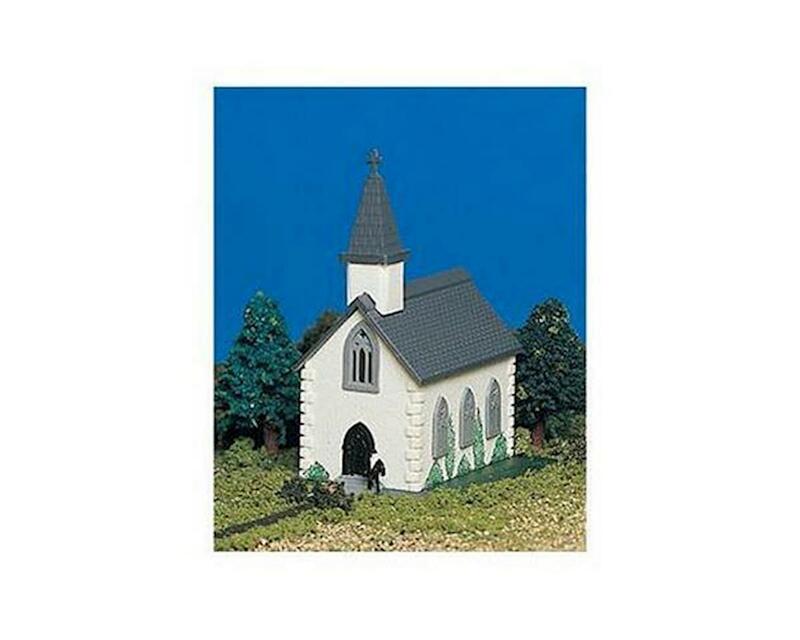 This is the Bachmann N-Scale Plasticville Built-Up Country Church. Since 1947, hobbyists and collectors have made Plasticville U.S.A. products their structures of choice. Now, in addition to the traditional, easy-to-assemble kits, Bachmann is offering pre-assembled Plasticville U.S.A. buildings. Plasticville pieces add character and dimension to your layout. Many buildings and accessories have been added to the Plasticville line throughout its history, and many are still produced from their original molds. As a fun challenge to collectors (you can even join the Plasticville Collectors Association), you can collect hundreds of product, color, and packaging variations that have occurred over the years. Whether you're new in town or an established civic leader, Bachmann builds Plasticville U.S.A. for you. City growth is limited only by your imagination! Highly detailed, hand decorated, fully assembled country church. Country Church is white with a black tiled roof complete with steeple. Church has seven gray windows (resembling stained glass), and the front door is black. Trees are painted directly onto the sides and back part of the church.